This 8" x 8" fine art giclee print was made from an original ink and colored pencil drawing. 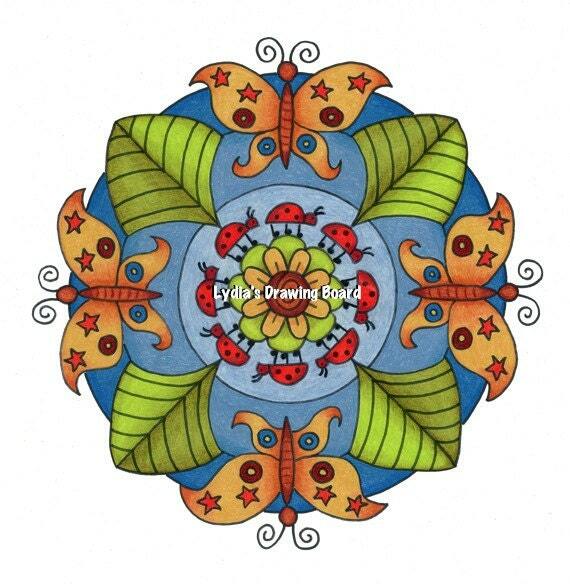 This is a mandala with golden butterflies, ladybugs, leaves, and a flower. © 2012 Lydia A. Eloff. All artwork is subject to copyright and not authorized for use without permission. All rights reserved.